The Polycom Group 500 video conference system with EagleEye III camera is optimized for medium to large sized meeting environments. The EagleEye III camera features full 1080p HD with 12x pan-tilt-zoom ability. The Group 500 can be fully integrated with Skype for Business and works great with other web conferencing services like Zoom and GoToMeeting. 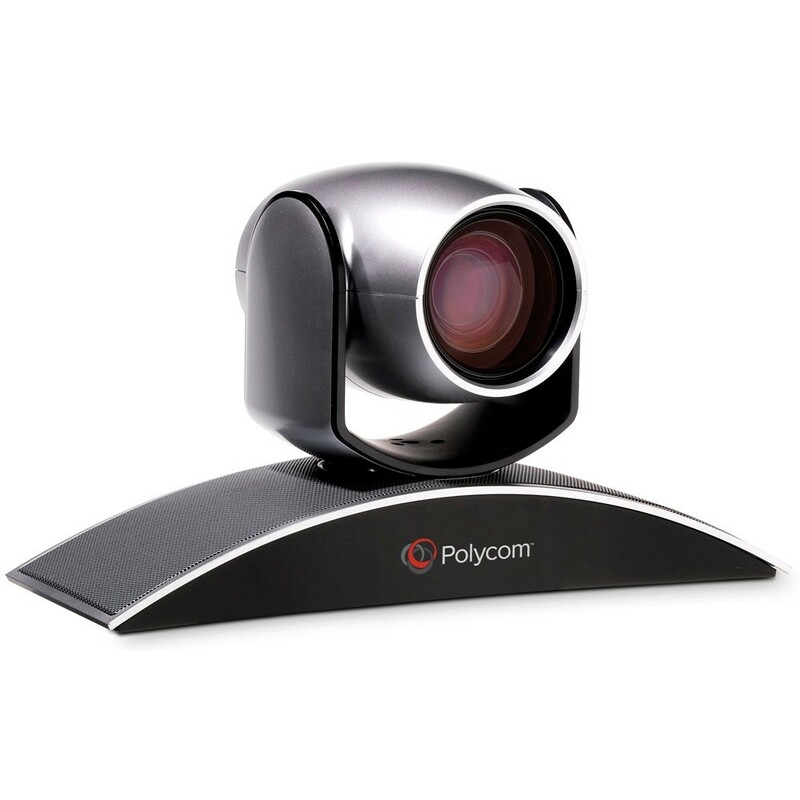 The Polycom Group 500 is an easy to use high definition video conferencing system with a 12x pan-tilt-zoom EagleEye III camera. We recommend this system it for medium-sized conference rooms, classrooms or other meeting environments. 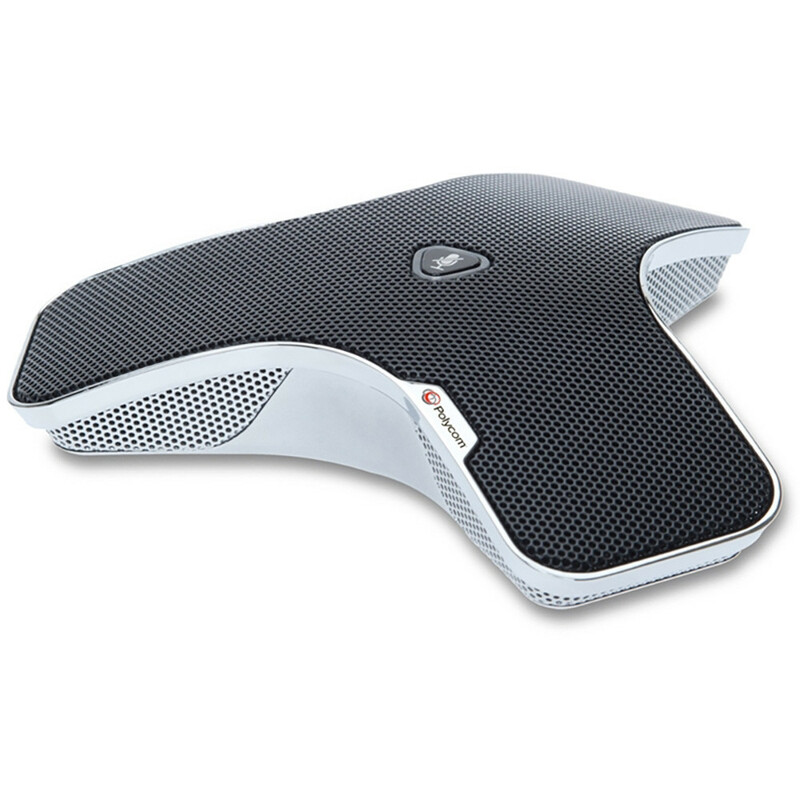 Polycom’s Group 500 supports two monitors, a single HD camera, three table top microphone arrays, or Polycom’s high-end ceiling microphone arrays as an option. The Polycom Group systems come right of the box supporting High Definition 720p which looks amazing on the screen. You can upgrade to 1080p as an option. 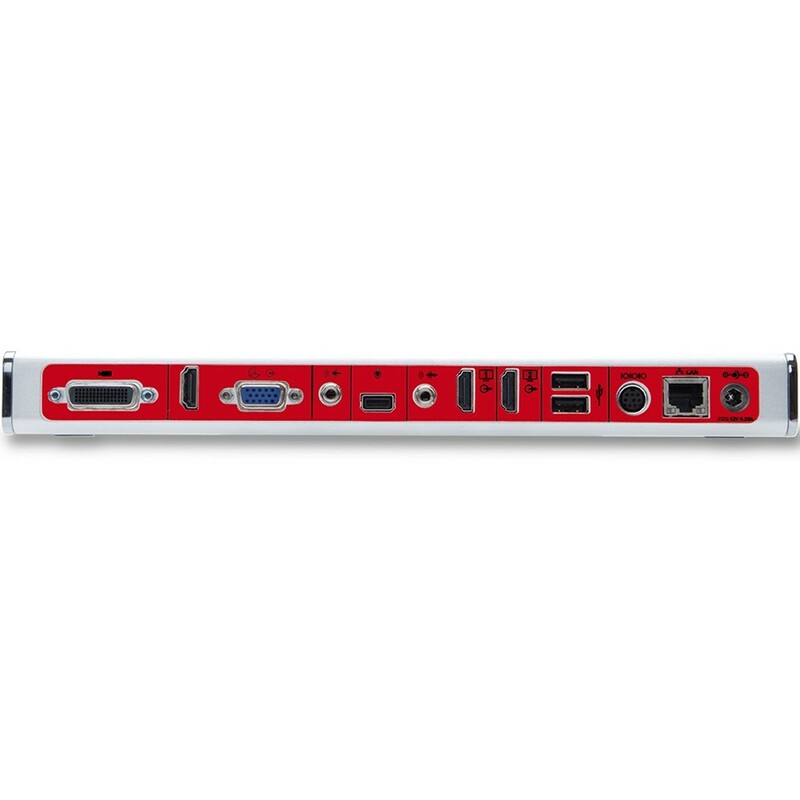 The Polycom Group 500 has an HDMI port on the back for sharing computer content and will also allow you to use Polycom’s People + Content IP software for computer content sharing. If you need to connect to more than one other site you can add the 6-Site Multi-point option to the Polycom Group 500 and connect your system to up to 5 other sites at the same time. 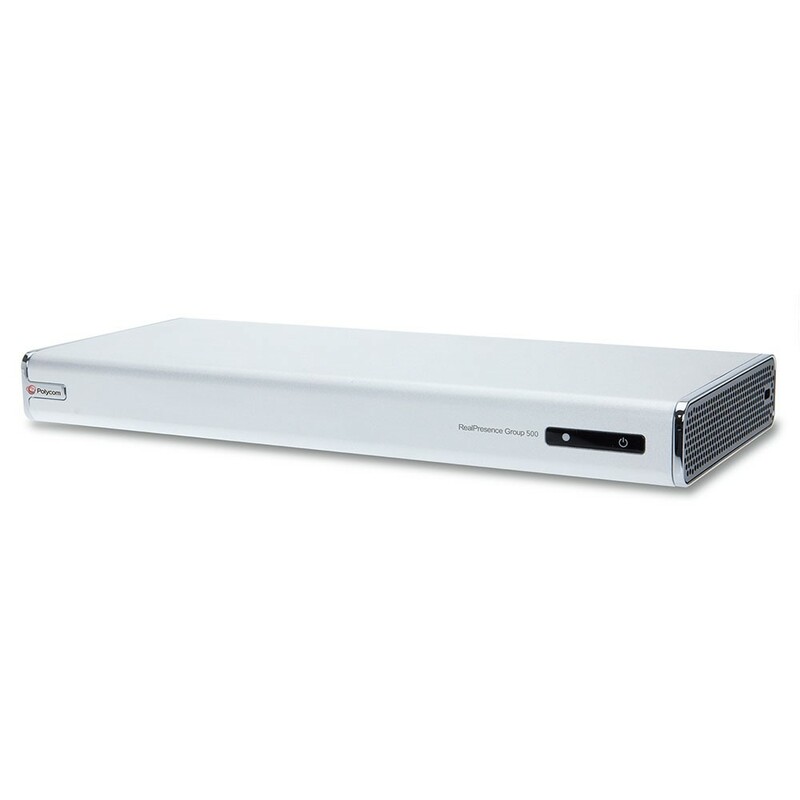 Your Polycom RealPresence Group 500 will be able to connect to most H.323 SIP systems such as CISCO, LifeSize, and Polycom, right out of the box with a quick setup. If you are wanting to use the RealPresence Group 500 with a standards-based Cloud service such as Zoom, GoToMeeting, Bluejeans, or LifeSize Cloud we can help you with that as well. Looking for a high-quality video conferencing room system can work with Microsoft Office 365 Skype for Business, look no further. You can simply select the Skype for Business option and add the required Polycom RealPresence Touch Control when you place your order and your Polycom RealPresence Group 500 will be able to be put into Skype for Business mode which allows you to easily place and join Skype for Business calls through invites and directory calling. Feel free to contact our Experts at 1-866-323-5773 to ask any questions you have before ordering. You can optionally add Polycom maintenance to your Polycom product. Call 1-866-323-5773 to get a quote.